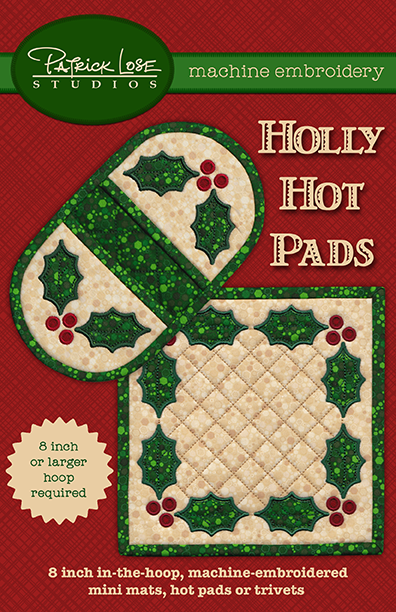 This is the in-the-hoop version of these hot pads. You must have an 8" hoop to stitch and quilt all of the pad elements in the hoop. Once the embroidery is finished, all that's left to do is the binding! You are purchasing an embroidery file, only. There is no instruction on how to do machine embroidery or how to create projects using these embroidery files. You must have the winter 2013 issue of Quilting Celebrations for project instructions although the project is created ITH so is self explanatory. You must have a knowledge of how to use your embroidery machine and how to download the files and load them on your machine or into your embroidery software.